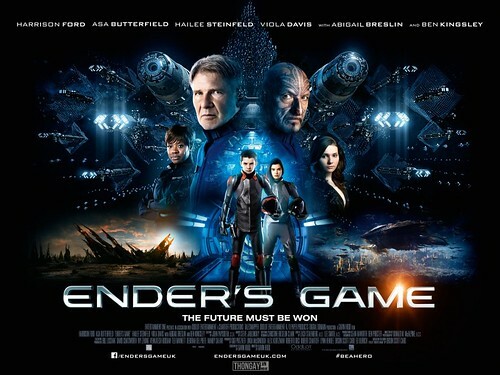 I just seen Ender’s Game with hubby and kids, it was pretty good. Reminded me of Star Wars for some reason, I guess because the world depends on a boy. The movie features top actors: Harrison Ford (who you may know was in Star Wars), Viola Davis, Abigail Breslin, and Ben Kingsley. Other than a few curse words, mild violence, and scenes of bullying, it is a pretty good family movie. As someone who has read most of the books in the series that this movie is based on… This was an awesome movie. I hope they come out with some more movies based on the other books. Two thumbs up from me.